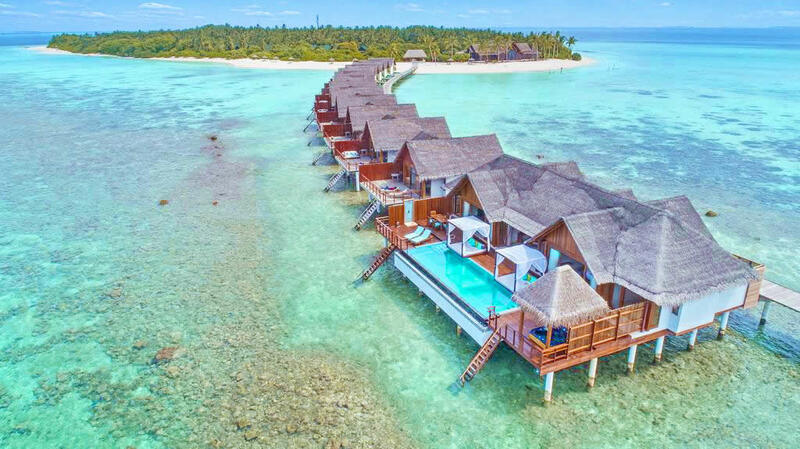 With an excellent value-for-money and ideal for both couples and families alike, Furaveri Island Resort & Spa is a new luxury resort located in Raa atoll, one of the most developing and most remote atolls in the Maldives. The private Furaveri island is an independent brand that is run by the local business and conceptually linked to a long-standing desire to offer guests a culturally authentic, luxurious island experience in an environment that remains true to the natural beauty and spirit of the Maldives. Furaveri Resort located in Raa atoll. There are two ways you can reach the island. The island of is 150 kilometers (95 miles) north from Male International Airport and accessible by breathtaking scenic seaplane transfer to takes about 45 minutes. 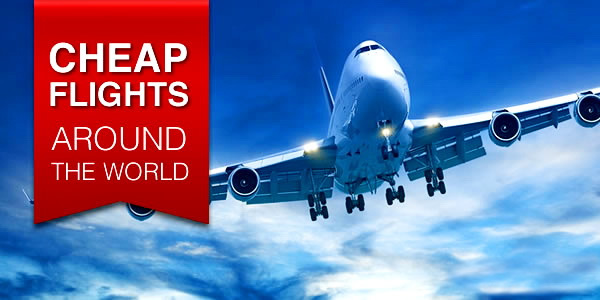 The flight times are subject to weather conditions and schedules may involve one short stop en route. Alternative you can use domestic flight followed by a 45 minute speedboat journey. Guests will be greeted and received by airport's staff and escorted further to the check-in counter. We recommend a full immersion in everything that is Maldivian. Traveling on a private island through sandy-coral trails, you will be amazed by the lush vegetation environment and the attractive feeling of an untouched place. This is the result of a concentrated effort to leave as many mature coconuts and Banyan trees as possible, as well as other flora as favorable as possible for the resort's development. The head gardener is very passionate about orchids. The fine choreography with tropical sea hibiscus, beach Gardenia and lantern tree reflects the true mood of nature with an elegant touch of purple-white orchids married to coconut palms. Parts of the landscape boast juvenile plants as the resort is new, but it’s not hard to imagine what it will look like in a year or so when the saplings have matured and the niches are green with grass. The head gardener plans on growing a lot, from jackfruit to peas to pumpkins. Some of his labour has already borne fruit: a small pumpkins in a patch. He’s also growing Angsana trees (Pterocarpus indicus) for shade. As for the orchids, he’s very proud of them; they adorn over a hundred coconut palms on the island. Why orchids, though? They’re elegant symbols of refinement, he says, and they stay in bloom for a long time. Furaveri offers five categories of luxury villas to the individual preferences and needs of the guests. The resort features 107 private villas (110- 212 sq.m. ), with sea and garden views and either access to their own white sand beach or a private wooden staircase leading straight down into the clear water of the lagoon or jungle. You can check an email and surf the web on the complimentary high-speed Wi-Fi. You don’t need a password to access the internet in your room, it’s very convenient and the reception extends all around, so you can lounge on the deck and listen to playlists. Garden Villa provides a generous open veranda and the opportunity to contact rooms that are popular with families traveling with young children. Black tiled steps lead to the villas, whose doors stand behind twin white columns; it’s a villa in the proper sense, with a gabled roof and floor length windows. The Garden Villas are elegantly designed and generously spacious 110 square meters with a large private sundeck, complete with your own private tropical garden with a semi-open bathroom complimented with a bathtub to offer the comfort and luxury for individuals and families. The interior is spacious with white walls and matte wood floors. A large settee with plush cushions sits in a corner and a luxurious bed graces the centre of the room. Just behind the bed is a decent workspace. There are power outlets right where you need them, easily accessible, and a converter is provided. This seems well thought out. The bathroom’s a room to itself, replete with a luxurious Jacuzzi bathtub and an outdoor area with a baby banana tree and a rain-shower. Outside, there’s a sizeable wooden deck with deckchairs and a little seating area underneath a canopy, a perfect place to relax with an evening drink. The garden is full with young plants starting to sprout. Flowers run along the edge of the deck. There are no issues of privacy at Garden Villas. To be a Maldivian you need to link to the water and at Beach Pool Villa's entrance you are greeted by the gentle music of waves sizzling on white sands a few steps from your doorstep. Given the preferences of many guests, the pure and refined tropical getaway hideout facing the soft white sandy beach, Beach Villas have 125 square meters of spacious bedroom and offers unobstructed and exceptional views of the Indian Ocean. A shy step through the large glass sliding door and you will be spoiled for choice, as the outdoor terrace also includes an attractive private pool, awnings and sunlit sun beds, as well as an open dining area and sun loungers. Airy and hospitable, modern improvements to the luxurious villa for the Maldivian way of life are always present. High ceilings, laid out by pure weaving of palm leaves and a wooden ceiling fan, resemble traditional architecture. Another nice bonus is a surprise, called 'addu bendi'. This sweet mixture is made from grated coconut, molasses and jasmine water, wrapped in a banana leaf, and is considered a delicacy on a nearby atoll. Of course ... try, and indulging in taste, you will easily understand why in due time this "candy" was used as a currency collected as a tax among the inhabitants of the island in the distant past. With an individually controlled air conditioning in the room, the king-size bed is surrounded by in-built armchairs, a desk, a flat-screen TV with satellite channels, and a marble galley well stocked with snacks and drinks, including high-quality coffee and espresso. In the bathroom, expect to spot double dressing tables on opposite walls, an indoor shower and a two-person double bath, which also serves as a modern decoration for the room that ends at the other end in a private outdoor stone garden with a double rain shower. Other places to stay at Furaveri include a slightly bulky Dhoni Pool Villa, named so because of the distinctive traditional Maldivian fishing boat the “Dhoni” design of its roof. Nestled in the vegetation on the edge of the white sandy beach overlooking the crystal lagoon, these luxurious villas with spacious 200 square meters will give you an experience of pure serenity with creative design spaces and an en-suite bathroom and a large private pool. Garden Villa provides a generous open veranda and the opportunity to contact rooms that are popular with families traveling with young children. the Garden Villas are elegantly designed and generously spacious 110 square meters with a large private sundeck, complete with your own private tropical garden with a semi-open bathroom complimented with a bathtub to offer the comfort and luxury for individuals and families. As for a dining, Furaveri provides cuisines of unimaginable all inclusive variety - food for romance, for relaxation, for the sheer pleasure of company. Meals according to the scheme from the elementary breakfast to all are included, include an a la carte restaurant or a plentiful buffet with themed dinners, not excluding the Maldivian night. Snorkeling and spa can cause a wild appetite, and the food in Furaveri visibly reflects the Maldivian tastes. Expect a feast from International Buffet to an Ala Carte Fusion Asian Restaurant and Casual Mexican dining over the reef edge. The resort offers three types of meal plans to meet your individual desires. Choose from Half Board, Full Board or the extensive All Inclusive package. Jafaiey Restaurant serves international and continental cuisine with various varieties and physical stations including live cooking for European and Asian cuisine for breakfast, lunch and dinner, overlooking the views of the swaying palms and the azure of the Indian Ocean. The restaurant too displays touches of Maldivian antiquity through its use of wood, especially the latticework. It’s all part of the Maldivian experience that the resort offers. Lunch is a lush, multi-cuisine affair. You can mix and match, with Indian Mattar paneer, Asian style seafood rice noodles, a Continental chicken salad, and a mini-steak. The paneer is well marinated in spices, and its accompaniment of peas is pleasantly mushy. The noodles are perfectly cooked and generous with seafood. The real winner though is the steak, tender and juicy, a true joy to the taste buds. Furaveri’s Food & Beverage Manager Mohamed Riyaz tells that the meat is imported from Australia. The steak is Angus beef, he says. That explains matters. Also, we were easily conquered by local, freshly caught blue crab, squid and tuna, marinated in spices and perfectly cooked on the grill. Another item of the Maldivian menu is kandu kuklhu, a traditional dish of spicy tuna curry with hot peppers and coconut served with rice. In-Villa Dining caters for breakfast, light snacks, romantic dinners and special celebrations in the privacy of the guests’ villa or at various locations on the island. Araa Faiba Snack Bar overlooks the beautiful Indian Ocean in one of the prime locations of Furaveri and acts as a dispensing outlet servicing the lounge. It offers a huge selection of tea blends and coffee roasting from both Northern & Southern hemispheres, freshly baked pastries, Maldivian, Sri-Lankan and Indian short eats, baked cookies, classical tea cakes, fruit breads, English scones and mini French pastries. In 2018, Furaveri expanded its offerings for food and beverages with the new Raiyvilla restaurant, derived from the local word that means "twilight," this place is much more romantic for the sense of Maldivian light or the "closing of the sun" at the end of the day. With front beach setting, Raiyvilla located on the island's western tip facing sunset, and serves signature ala carte mouth watering Asian Fusion dishes including traditional Sushi and Sashimi and a Tepanyaki Counter, amonst amazing East meets West dishes prepared by Asian Chefs, Specially crafted cocktails are recommended to start an amazing evening, Raiyvila is the perfect place for afternoon drinks and an unforgettable dinning experience. The nights you and your friends can enjoy a barbecue on the beach. There are lamb and fish skewers, rice and pasta, vegetables and fruits, and a range of desserts. Given the resort’s mix of clientele, F&B Manager explains, there are a variety of palates to please, hence the eclecticism of its food. When asked about the fresh produce he says he sources them locally whenever possible to ensure freshness and to empower the local community. He mentions a project they’re undertaking on the island, the Chef’s Garden, where the kitchen can soon source fresh herbs and vegetables. After dinner, expect the traditional bodu beru show with singing, dancing and drums. In the evenings in Furaveri, when the sun is low on the horizon, guests make their way to the pier, where each day they feed local fish. One can observe how young reef sharks fight for tuna puffs and join the exchange with guests and staff in this simple ritual of upbringing and nature. In an effort to make the most of your Maldivian experience, ask the staff who grew up on the nearest atoll, where you better use your energy. I'll bet he points to the beach adjacent to the dining room, the main swimming pool, entertainment and water sports zone, one of the two house reefs surrounding the island. Grab a set of free snorkelling gear and head to the beach. The house reef has two channels that penetrate to drop off point and go beyond it, that makes it easy to reach 30 meters. Drift is all that you have to do, with rare dives for a close contact with the colorful marine life including parrot-, angels- and surgeons-fish. Squirrel fish, sweet lips, wrasse and butterfly fish are also interested in you, before you return to the beach via another channel. If you're lucky, you'll see the ramparts of eagl rays, reef sharks and sea turtles, which also visit these beaches on a regular basis. If suddenly you get a snorkeling fever it does not matter, just head to Dive Club Furaveri, a diving school on the island with the status of PADI 5 Star Resort, complete with classroom, diving shop, equipment rental and a large warehouse for wet storage of scuba diving enthusiasts. While you can always sign up for anything from Open Water to Master Dive Master cources we recommend an offshore excursion for first-timers that can delight divers and snorkelers with some of the best dive sites in Raa Atoll. A team of local professionals who are passionate about diving in the Maldives, explains that for an hour on the boat from Furaveri there are about 30 dive and snorkeling sites. Because the island is in one of the most remote atolls in the Maldives, in fact you will have a private diving based solely on the experience of diving in pristine waters and reefs. Sola Corner, a popular site known as the point to see the manta rays. As well as Kukuludhoo, a hypnotic reef around an uninhabited island that abounds in tropical fish, stunning healthy corals and a diverse marine life. 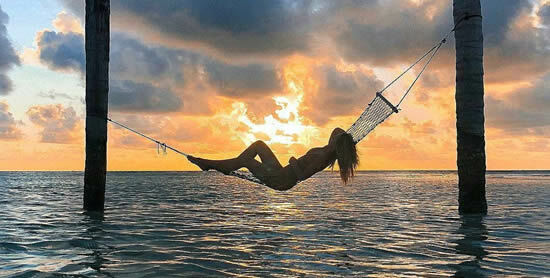 Back to the land, you realize that you have caught too much sun and going out alone is to visit the Furaveri Spa. The Spa is set a lavishly landscaped area with striking water features, perhaps resort’s greatest triumph. In addition to the modest entrance, you will find a sanctuary in the garden in Thai style, surrounded by eight separate treatment rooms. Half the rooms are open air, set amid rich tropical flora. The Spa offers Asian treatments, which include Ayurvedic massages. The spa menu has private packages and a buzz for two, but you are guaranteed to relax with a Balinese massage and Furaveri branded facial care, a highly effective procedure with a light touch, and the use of honey, cucumber and lime to help hydrate and soften your skin. Bliss is half asleep and, even in spite of fears of visiting during the monsoon season in the Maldives, you will find that a short day rain becomes part of your treatment. Try out the Jacuzzi bath. There in the tub, with its nozzles working their magic, it’s an ersatz spa experience. When you luxuriate in the bath, you spot a patch of vivid sky across which, in a state of absolute languor, a spotless cloud makes its way. It’s the perfect metaphor, we think. The air-conditioned Fitness Centre has everything you need to keep fit during your holiday and is settled between the tennis court and the spa. Increase your personal health and fitness on our tropical island with the following state-of-the-art equipment, including yoga mats. 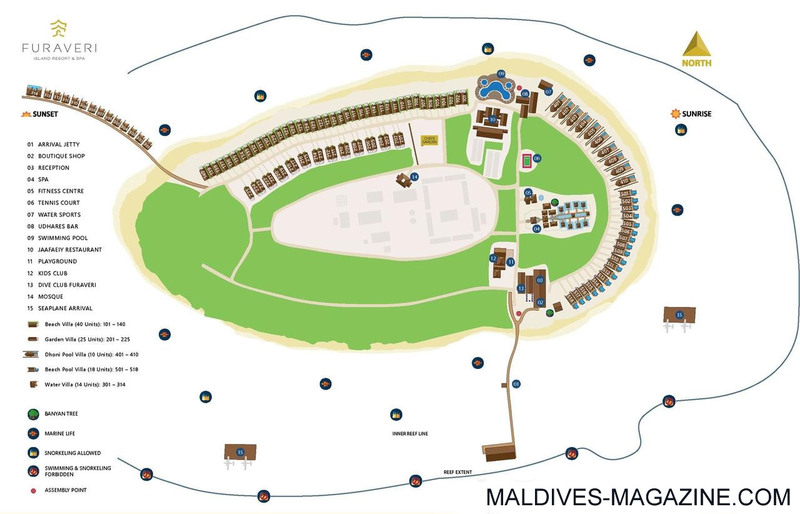 There are also plans to create a 'heritage village' for the guests in the resort to continue learning the Maldivian culture. Traditional building structures made of ropes twisted from coconut fibers.